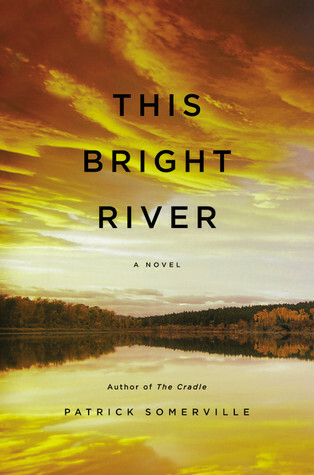 This entry was posted on Friday, September 7, 2012 and is filed under Book Review,Drama,Family,Giveaway,Little Brown,Mystery,Patrick Somerville,Puzzle,Romance,Technology,This Bright River. You can follow any responses to this entry through the RSS 2.0. You can leave a response. I've been to Amazon and clicked "yes" I'd love to win. Nice review. Hope I win this time. Thanks for your interest Ken! Be sure to leave an e-mail address so I can contact you if you do win. I indicated the review was helpful. Yes I clicked yes the review was helpful. I went and read your review of This Bright River at Amazon....and yes, it was helpful (which I clicked on). :) Sounds like a good book...yet another one to go on my "to read" list that just keeps getting longer. Wink. Thanks for the chance to win a copy. I went to Amazon, clicked yes it was helpful to your review, and remembered that I had read something by him before. It was "The Cradle" that he wrote back in Mar. 2009 and was a really good book so I'm sure this one is just as good! Thanks for this nice giveaway! Pretty much done the steps required. Loved Patrick's first book and heard a bit of controversy about this new book so can't wait to read it! Congratulations to Jamie, Rachel, and Barb! They will each receive a copy of "This Bright River" by Patrick Somerville. Thanks to everyone who entered this contest and especially to the publisher for providing copies of this novel. Be sure to check back for more exciting giveaways. Due to a lack in response from winners and a deadline set by the publisher, I was forced to select 2 additional winners to replace 2 of people listed above. Congratulations to Sandra and Khairu.